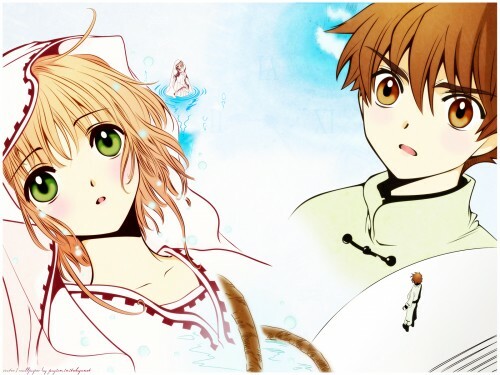 I liked this chapter :) Syaoran's and Sakura's first meeting?
? the colours && lines very well traced . You really did great! Great work! full bodies done so neatly. Aww, this is really sweet! I loved this scene in the manga! <3 Great vectoring, I love the soft colors you used. Great work! You did an awesome job with the coloring! I would never have thought that some slight changes : adding the blush and eyes' color would make such a BIG different! Excellent work! Its simple precious.. I simply LOVE this scene, this picture and this vector of yours^_^ suteki desu!